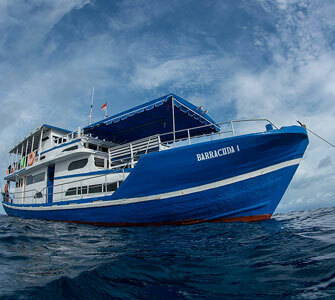 Wave of the Day wants to make surf travel easy, so we’ve partnered with Barracuda Surf Charters to offer this all inclusive package; Which includes 10 nights on the boat, all your meals, return flights from Australia, transfers to the boat and back, and a night in Medan to unwind and rest the shoulders after an epic 10 days of surfing! 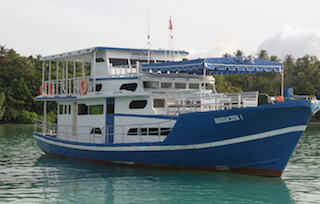 The Barracuda is an Indonesian Vessel that was built by two local master craftsman who have built over 40 boats throughout the Mentawis and Sibolga in Sumatra Indonesia. 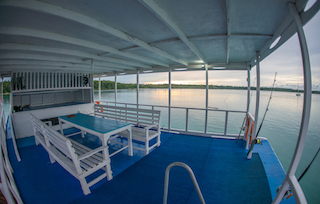 It has a classic Indonesian outline, is made of the finest local hardwood, and is equipped with air conditioning, comfortable cushioned seating, decks and lounge areas, t.v. 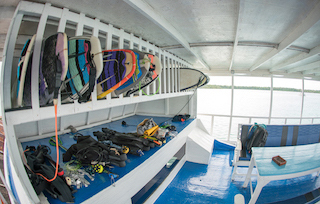 for movies, navigational gear, safety equipment, full kitchen, bathroom, freshwater shower, surfboard racks, speedboat, and more! We admit, there are some fancier boats out there, but the Barracuda keeps things simple. This vessel has everything you need, plus an unrivalled knowledge of the region. In other words, the Barracuda crew know how to make sure you’re in the right spot at the right time! *Departure locations include Brisbane, Darwin, Gold Coast, Melbourne, Perth and Sydney. *If you don’t see dates that work for you, please email us as other dates may also be available. *Note, minimum of 6 people required guarantee departure. 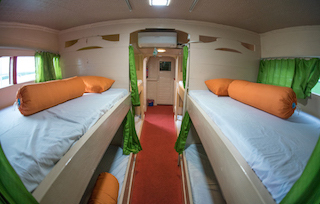 Capacity of 8 people. Example Itinerary only. Please note that your itinerary will vary based on departure location and date. We will email you a full itinerary once your flights and hotels have been booked. Overnight transfers to the Barracuda. You will travel overland by car to Singkil, a small port town, then take a boat to the Barracuda. Arrive at the Barracuda late morning (subject to weather/seas). From here, Surf, eat, sleep, repeat for over a week! You will make your way back to Medan, and be dropped off at your hotel. You will be picked up from your hotel and taken to the airport in plenty of time for your departing flight back to Australia. If you are an absolute charger, then large dry season swells and heaving 8-10 footers will be your dream. However, if you love hanging with your mates, sinking a few beers, and perfect shoulder to overhead points and reefs then do not count out the shoulder season. One of the best rights in Indo, Super long, Perfect Right hander. Left hander, good tubes, fast down the line. Get out on the face for epic turn sections. Fun Right, Barreling takeoff then fun walls. Second barrel down the line for those that want it. Amazing left Hander. Can barrel its nut off or produce nice walls. Head here when Treasures is scary. Fickle, but when its on its on. Right hander, potentially epic. Wave of the Day reserves the right to make changes to the price and details of any inclusions within this package, due to exchange rates, availability and any unforeseen circumstances. Please read our full terms and conditions before making a reservation.